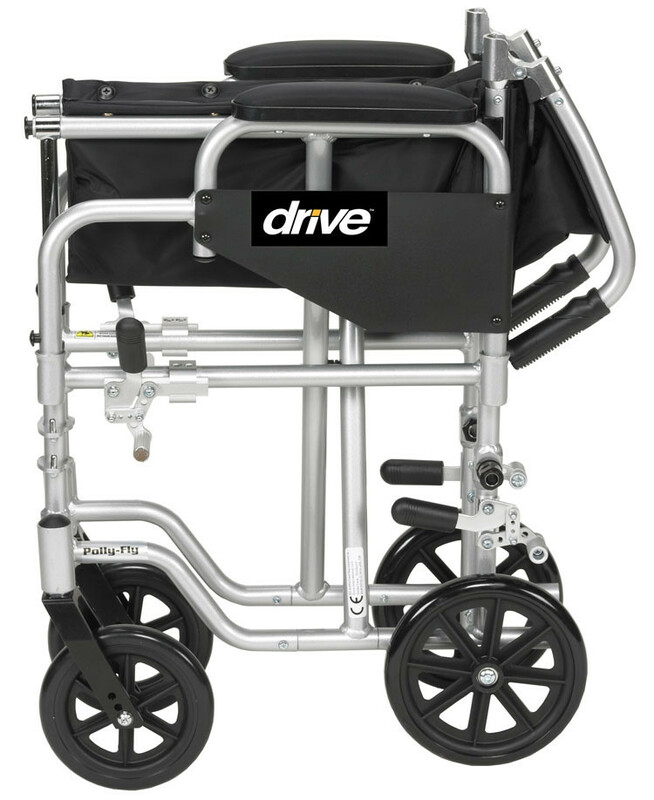 Poly-Fly Light Weight Transport Chair Wheelchair by Drive Medical is a unique and versatile combination wheelchair and transport chair. 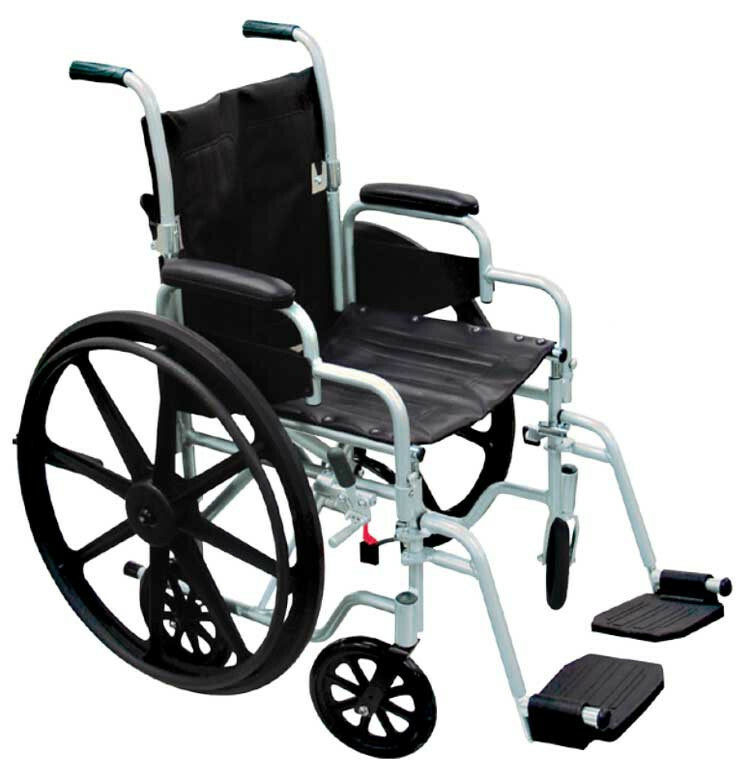 It can be used either as a standard self-propelled wheelchair or transport chair thanks to the eay-to-exchange rear wheels. 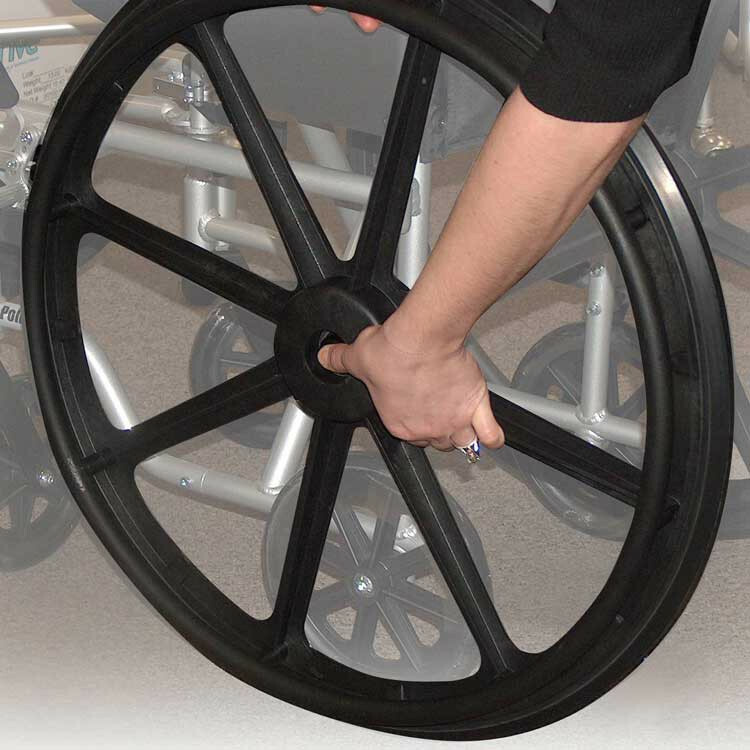 The quick release function allows you to effortlessly remove the 24" self-propelled rear wheelchair wheels to transition to the 8" rear wheels for patient transporting. 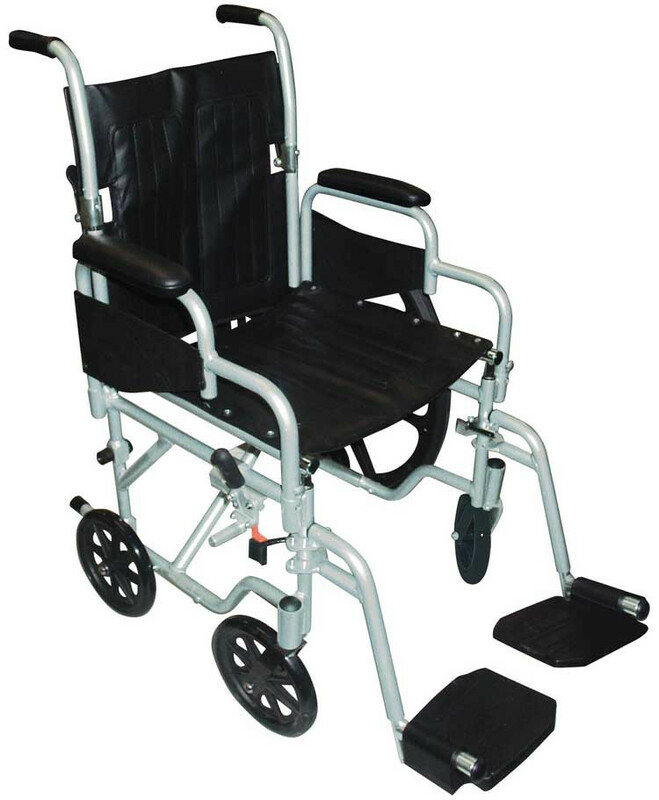 The Poly-Fly Light Weight Transport Chair Wheelchair features convenient swingaway footrests for ease of alighting. The lightweight aluminum frame weighs a meager 29 pounds, yet is strong enough to withstand many years of extensive use. The Poly-Fly also features comfortable nylon upholstery, as well as a fold-down back for ease of storage. 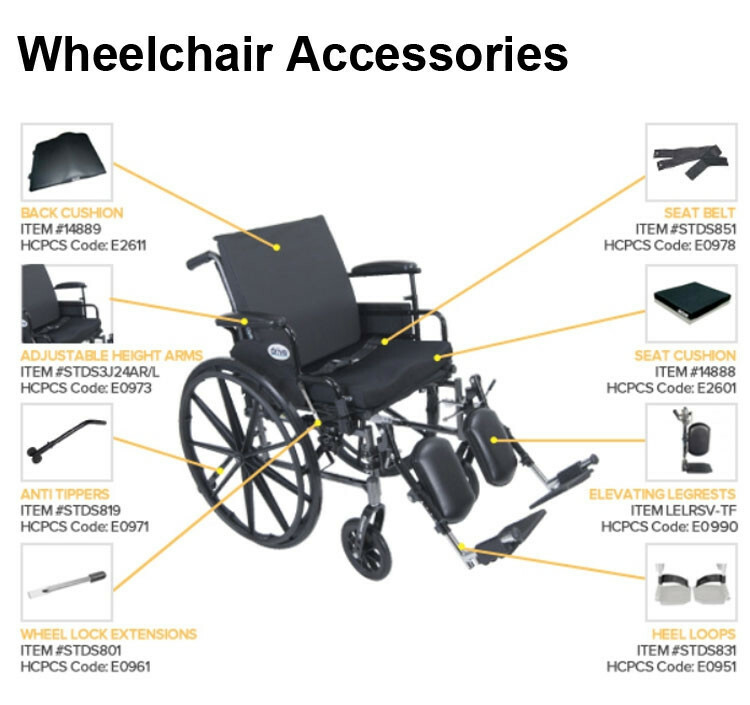 Vitality Medical also carries other items that would pair well with the Poly-Fly Light Weight Tranport Chair Wheelchair, such as the Gel Foam Pressure Redistribution Wheelchair Cushion and the Oxygen Cylinder Carry Bag For Wheelchair. Easily Converts From a Transport Chair to a Self-Propelled Wheelchair. Product Weight: 19 lbs., 29 lbs. Rear Wheel Size: 8", 24"
Are you covered by Blue Cross blue shield insurance? Need new wheels. 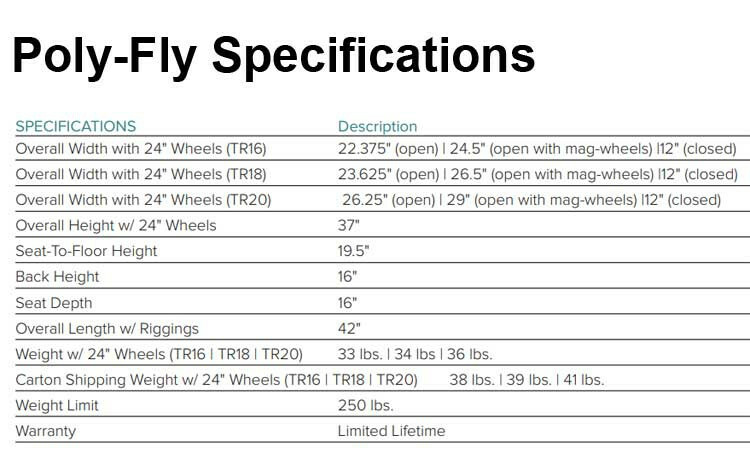 Do you have the replacement wheels for the TR18? Unfortunately we do not carry the wheels as an accessory item. 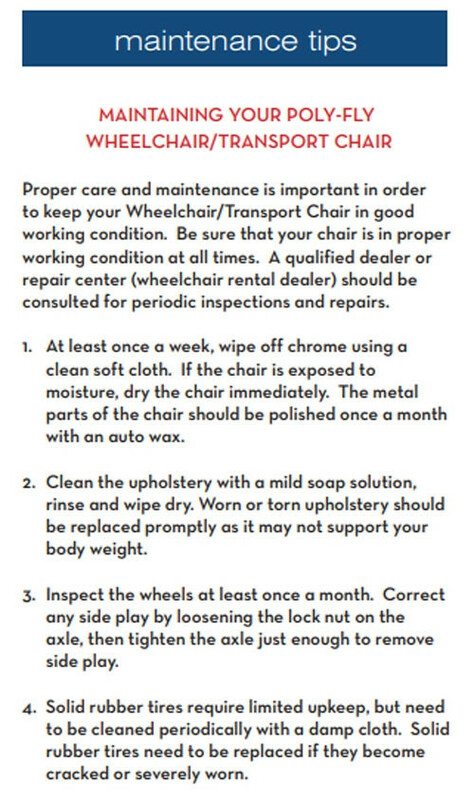 You may file a warranty claim from one of our customer service representatives. Need replacement wheels for TR18. Shipping & handling costs? Taxes? Replacement requests are handled as warranties. 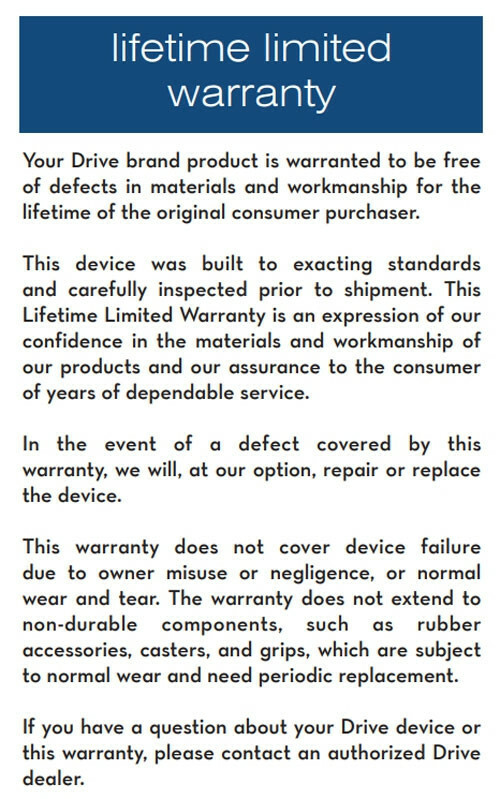 You can either contact the manufacturer or our customer service line to file a warranty claim if the item is still under warranty. Shipping costs differ depending on several factors as well. We do not charge a sales tax unless you live in Utah. 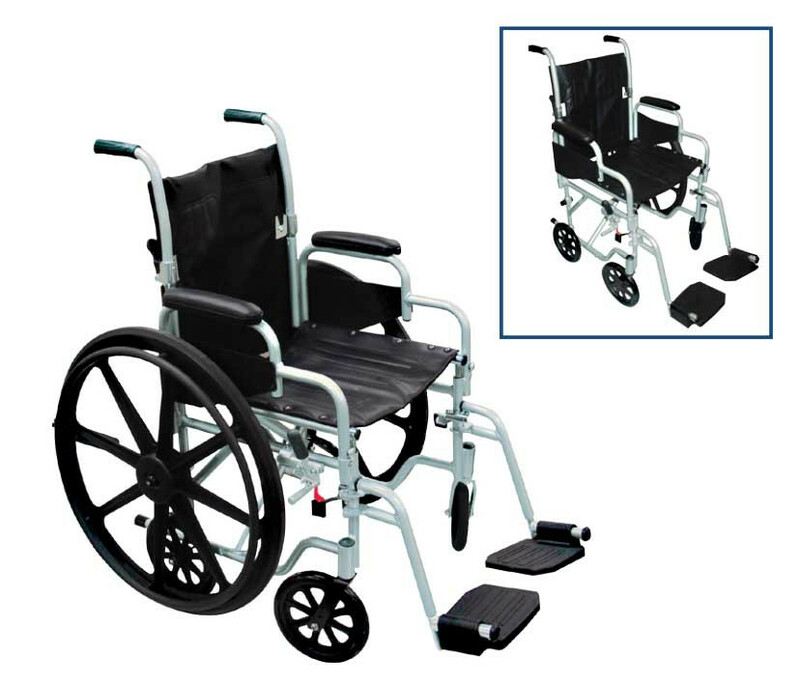 Very versatile with the interchangeable rear wheels. 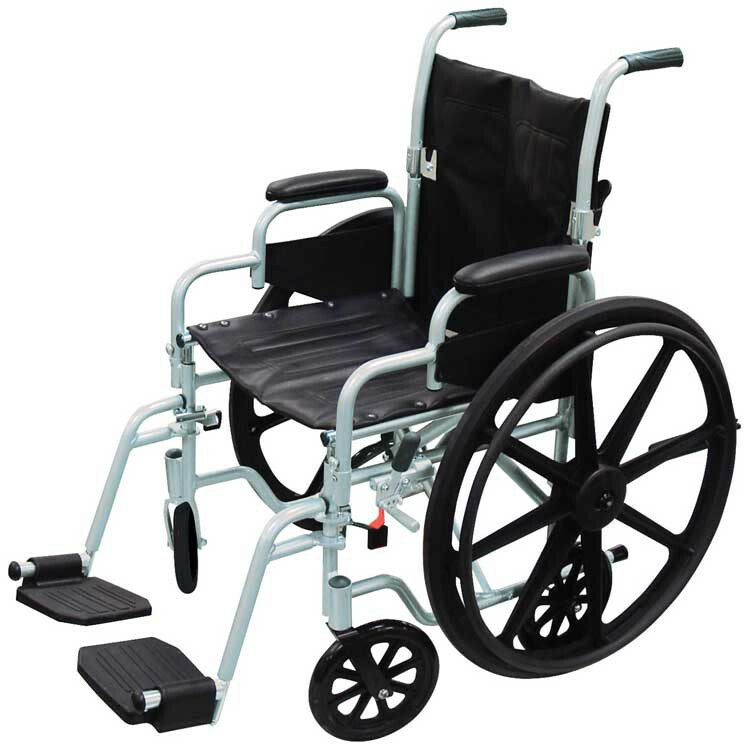 While not as light as other transport wheelchairs, it more than makes up for this deficit by its stability on uneven terrain and curbs with its big rear wheels. Does not feel at all flimsy as some ultra light transport wheelchairs feel. 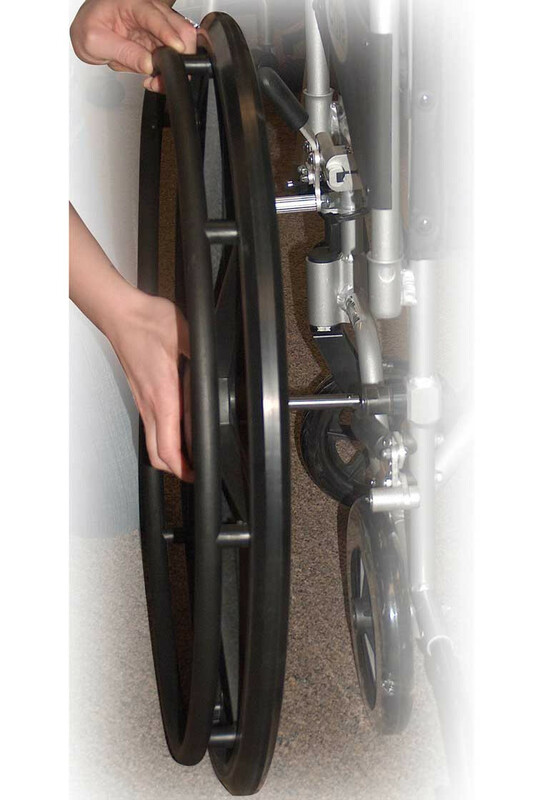 Smaller wheels come in handy for tighter spaces to be navigated. 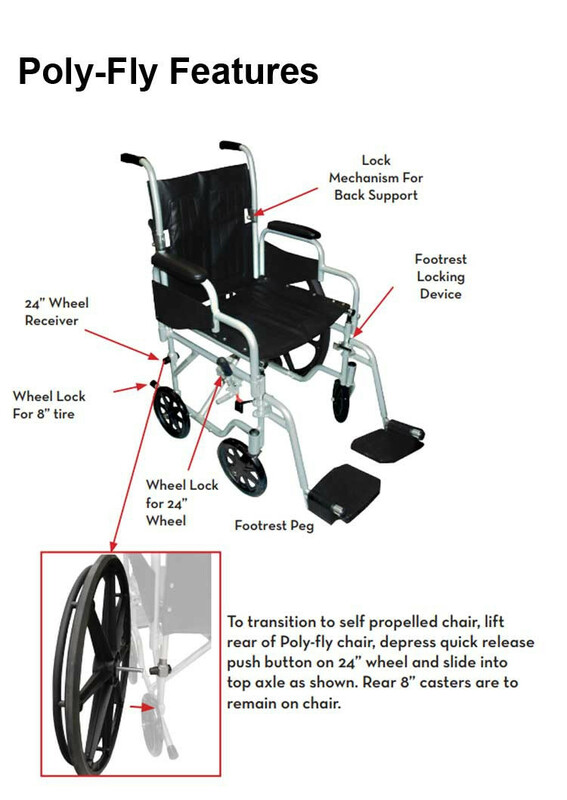 Big rear wheels give the option for the user to self-propel. It's the best.